To that end, he recently proposed a new Statewide Broadband office to serve as the central planning and coordinating body for public and private efforts to deploy broadband across the state. The office will serve as an information clearinghouse for local, state, and federal programs. It will set high-level policy, develop a statewide plan, and incentivize the deployment of quality and affordable broadband services across Washington. In his budget, the Governor funds a competitive loan and grant program that will be administered by the Public Works Board. While WSAC applauds efforts to expand such critical infrastructure, we have expressed concerns regarding the use of $7.5 million in funds from the Public Works Assistance Account to do so. 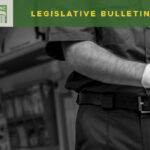 We will continue to work with the legislature on these bills as well as other bills that address access to broadband and will encourage the use of a stable, long term funding source that does not compete with other local government priorities. 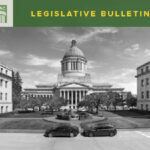 House Bill 1498 -Expanding affordable, resilient broadband service to enable economic development, public safety, health care, and education in Washington’s communities. 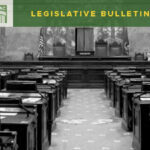 House Bill 1606 – Concerning the authority of the community economic revitalization board with respect to loans and grants to political subdivisions and federally recognized Indian tribes for broadband. 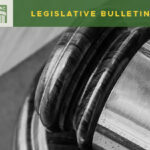 Senate Bill 5085 – Providing access to broadband internet services.